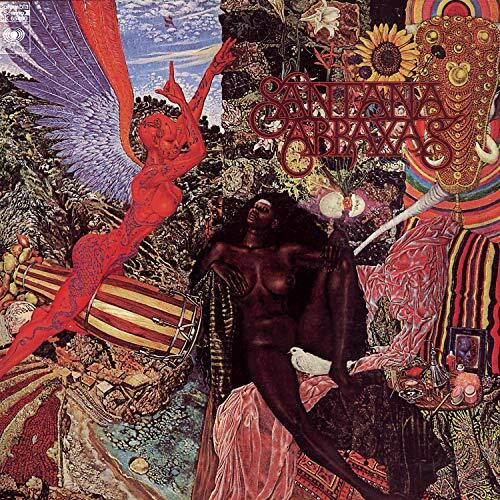 The first track on Santana’s Abraxus, “Singing Winds, Crying Beasts”, is one of our test tracks. This track has revealed some supposedly top-flight systems to be incapable of managing the etheral ‘sound angels’ flying in and out and around the soundstage. While listening to the Marten Design Coltrane Supremes I was struck with the a very interesting, some might say bizarre, 3D impression of some of the notes in this song. Now, this happens to me a lot when I am falling asleep, Jazz and Classical music seems to not be ‘heard’ anymore but instead transformed into moving, interlocking 3D soundscapes that I fly around in. Hey, those white coated fellas can just stay where they are, thank you anyway. But in the Marten Design room at CES, I was awake! I mean it WAS the last day of the show and all, but seriously…. O.K. First I will describe what I usually see when I hear the sounds, in this case, the tiny bells that kind of fade in and out at various places in the soundstage during this song, while listening to the Acapella Audio Arts Triolon Excalibur speakers. It is right after a fresh snow, and it is very cold so the snow is not sticking to itself or anything else, it is very fluffy but not so fluffy that it does not have a good ratio of water to size. The sun has come out and is shining on a large number of very tall pine trees. A gentle breeze comes up and sends a number of snow flakes dancing, as they are wont to do, in all directions: up down swirling bouncing gliding…As some of the 100s of flakes hit the rays of the sun that are penetrating through the bows of the trees, the flakes ‘light up’, temporarily, in a prismatic flash of dozens of pure colors alternating with pure white snowflakeshine, before they are again returned to invisiblity as they reenter the shadows to be replaced by a 100 others. These flakes are small, about 1/2 inch or smaller. These sparkling, flashing swirling colors popping in and out of existance is what I ‘see’ when hearing these bells. This more or less seems like a normal kind of thing to ‘see’, to me, and corresponds pretty well to the ‘type’ of the sound. To me. What I ‘saw’ was weird, man. What I saw were these aluminum things shaped like Cheeto corn chips, in kind of an unpolished silver metal color varying between 1/2 and about 2 inches long and about, I guess, 1/8 inch thick. They kind of faded into existance, moved a little bit closer then a little bit away from me, rotating a perhaps up to 45% during this time period, before they faded out again. There was a gentle diffuse white light playing on these ‘bell chips’. I cannot let myself beleive that the resolution was so good in that room that I was ‘seeing’ the sides of the bells as the overall sound outlined their shapes as it bounced off them and into the microphone. I mean, SACD has a lot of detail, but this is crazy. Anyway, I wonder if other people sometimes see music as ‘things’. And I also wonder if sometimes they also experience visual musical shapes that sometimes come unbidden and are shockingly different from what they normally ‘see’. While they are awake. that is one of a kind review/ commentary. Anna liked it too. is it a fair question to ask whether the referance to the ‘aluminum cheetos’ suggest a more metalic high frequency with the coltranes? you dont seem to mention your sound labs very often. how do they rank with you these days? The Coltrane Supreme cheetos were warm to the touch and had rounded edges – they ‘felt’ like the fins on the Edge NL Reference ‘pyramid’ amps we have here which maybe you have got to feel as well? Very finger/ear-friendly. Oh, and they were very light weight like cheetos but at the same time very solid and unbreakable. Nasty, overly metalic high frequencies are, for me, also metalic, but they are cold to the ‘touch’, often shinny, and are sharp like a knife blade or a pin or a saw blade no matter which ‘diirection’ you approach them from. 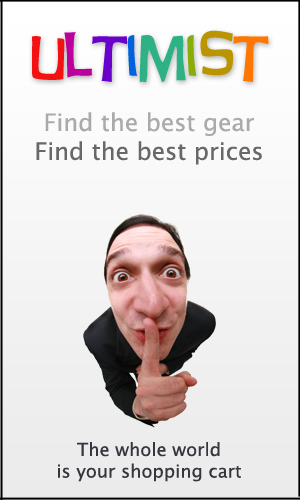 Hmmmmmm… Do you think the Soundlabs are jealous? 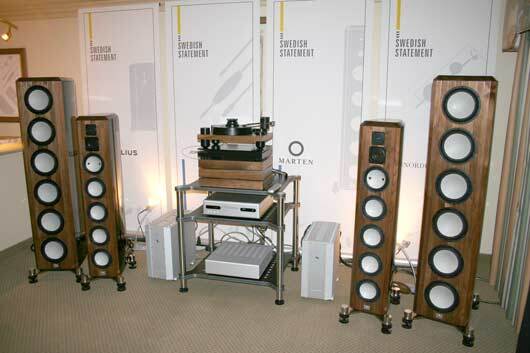 We try hard not to turn this blog into just an advertising arm for Audio Federation. 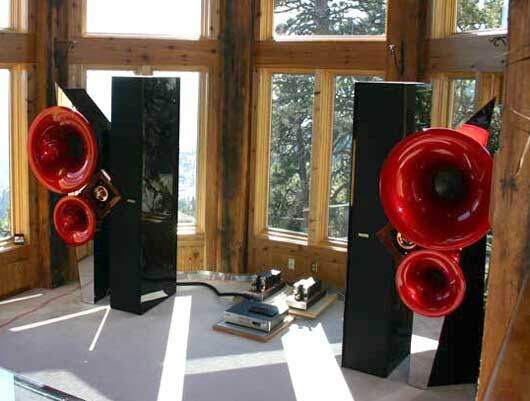 We arranged at CES for our Soundlab Ultimate 1 speakers to be sent back (to the factory in Utah) and updated – They are at least one major revision behind. Then we will post about their before and after both with respect to sonics and drivability. Give our love to Anna! I am a little confused, on my system at home these sound like glass chimes (Apogee Speakers with Aurum Cantus Supertweeters) and not metal at all, being kind of shaken like wind chimes. I do like the comparison with visual cues, though, that is great, and probably does dilineate the kind sound from different speakers. Thanks. I think the visual cues also have a lot to do with the particular individual doing the listening – that is what is really wonderful about the experience. The mind becomes an unwitting artist of these unexpected musicscapes. Your other point is very interesting and I want to devote more space to it in the main blog thread – about how we interpet sounds and map it onto things we are familiar with (for example, I have had extensive experience with metal chimes, and have lived with some very nice ones in my office for over a decade – but little, if any, with glass chimes).